I have been spending some free time on Pinterest but, I got out of the habit, and now I remember why… Everything is Pinterest Perfect. It is humbling to admit, I do like going there to find ideas for nail design and home improvement ideas but I run from most everything else. Ever notice any recipe which bombed or home remodel disaster make it on the site? Ya, me neither. So when I looked into war binders, Bible journaling, and even verse mapping. I was a bummed by this. I am not artistic in any way. In fact, I consider myself to be creatively challenged 🙂 I cannot draw something that another would know what it is. I am no Vincent Van Gogh. And to top it off, I am concerned that it would turn into something irreligious, something in the way of true Bible Study. That it would take away from the words or even become a distraction. So, I stopped looking into it. I am NOT an artist! Even yet, I am still intrigued. Two years have passed since I first heard of Bible journaling. I just have not had the time (as I was in college) and then I went through a period where I just couldn’t focus on it. My curiosity got put on the back burner until recently. To add art to my Bible is quite a stretch. I can barely draw a stick figure! And, I would never want to deface His precious Word. Please hear my heart, I am not saying those who can use art and cover the whole page, are wrong, but, I am not one who feels I can do so. With that said, please hear my heart dear ones, anything that brings one to search and understand His Word should be embraced. I am an avid Bible student and I can honestly say, I love His Word! It is intriguing, it is a fascinating look into the heart of God. The Bible is His story, after all. How vast is such knowledge, to know and understand the mysteries of His grace is my heart’s desire. I believe the only way to know Him is to pray and study His Word. Verse Mapping has become a wonderful way to introduce a form of study called inductive Bible study. How I use it may be a little different but it works for me. I am reading through the Word chronologically. This may take me two years. (If you want to join me, join our community. Inductive Bible Study encourages asking questions to open our hearts and minds to what God intended us to learn. It may take you back to science class because it asks who, what, when, where, why and how. It requires me to read through each passage more than once and even reading it out loud. The Word is timeless. It has the same message from the beginning and will be so for eternity. I want to dig deep and this keeps me on track. It also encourages to read it for all its worth. To do so, one must read the passage before and after. At least read a few verses before to ward off any chance of taking the passage out of context. Any error found in the Bible is solely on the part of the reader, for the Bible is inerrant, flawless and has been proven over and over through archaeological finds and history. Verse mapping can be as easy or as difficult as one makes it. I start with a verse or passage that is connected. 5 or so verses at max. Next, I write it out, preferably in a few different translations. There are many good translations out and I use the NASB, ESV, (which are the most literal, word for word translations) KJV and HCSB. I read all four but write maybe only two. Then, look for what words stands out to me and I write those. I use my Bible Software to look up the meanings of these words. A good resource is Strong’s Concordance (which is aligned to the translation being used), or Holman Illustrated Dictionary. Start asking the questions. When was it written.. to who was it written to and who wrote it? Why what there a clearly expressed purpose? What was happening in the culture of the day, etc? I have found this to be thorough and enlightening. And finally, I look what it is saying directly to me. I ask, how can I apply this truth to my life today? I hope this encourages you to pick up your Bible and join us! 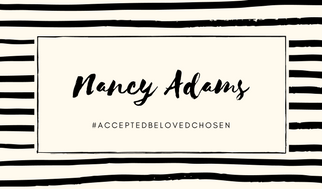 Want to join other women as we study His Word? 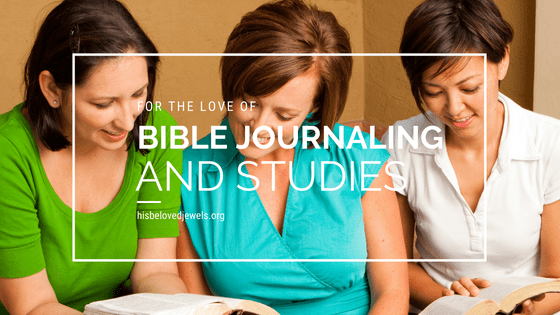 We have opened up our Bible Study to include Bible journaling and Verse Mapping! Join our Online Bible Study Community! Learn to Read the Word for all It’s Worth!